I do hope you can help me with a genealogy project I am working on. On Feb 3, 18454 he was elected to serve the county as County Clerk. If you have any information on Jeremiah A. Hood I would appreciate you sharing it with me. 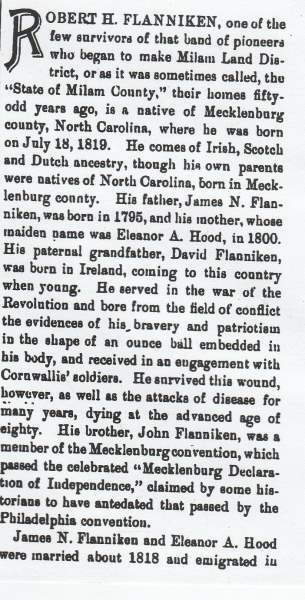 The maternal uncle of Jeremiah Hood, Robert H. Flaniken (Flanniken? 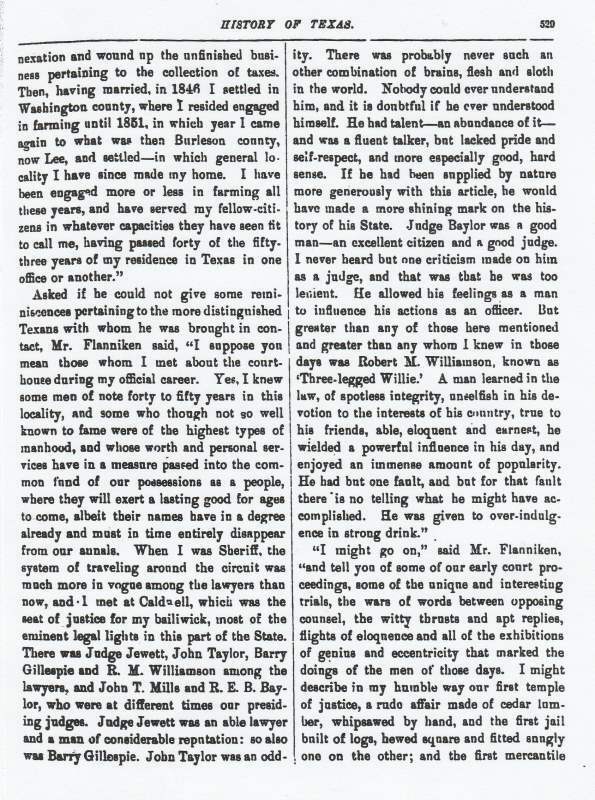 ), was Sheriff of Milam county in 1845. I am also searching for information about him. I will very much appreciate your help. 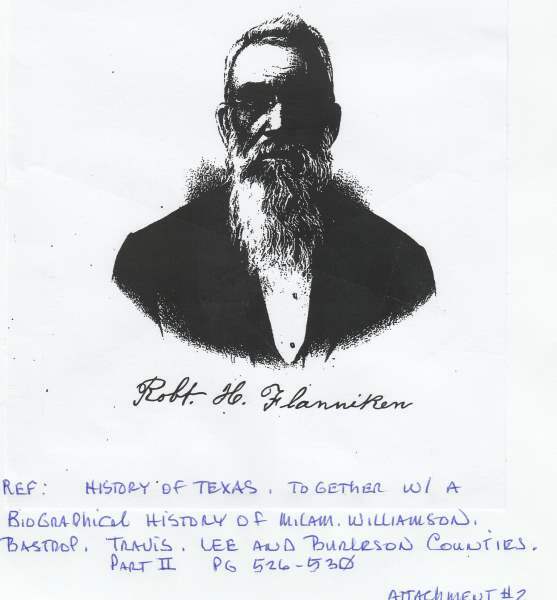 interested in Milam County history. 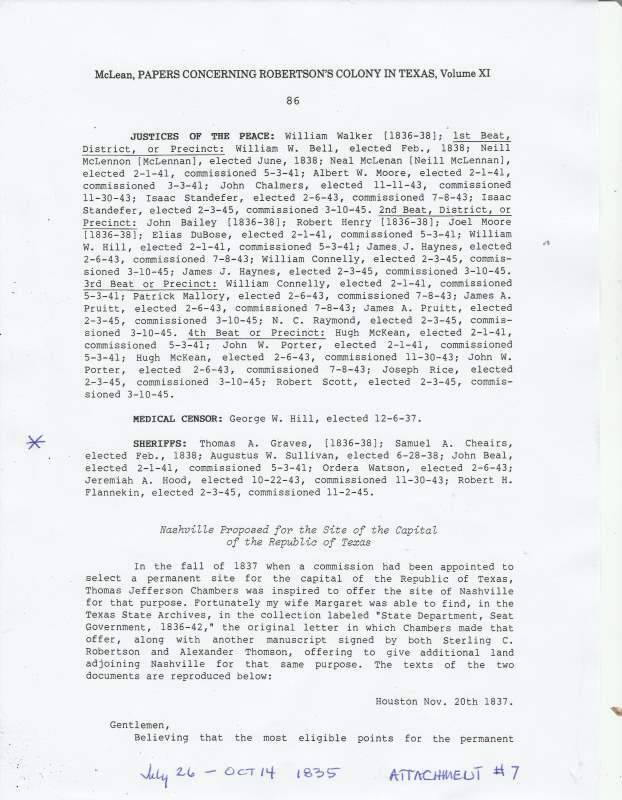 Request for Info forwarded to MCHC members and others interested in Milam County history. Thanks go to Greg Kouba for this research. some success with Robert H. Flanniken (Flaniken, Flanneken). Burleson Counties. Pt 2, Pg. 526-530. Gen. 976.4 His Ref. Ref,; Papers Concerning Robertson's Colony in Texas, Volume XI, Pg. 86. It is our hope that some of the above information will be beneficial to your genealogical study. 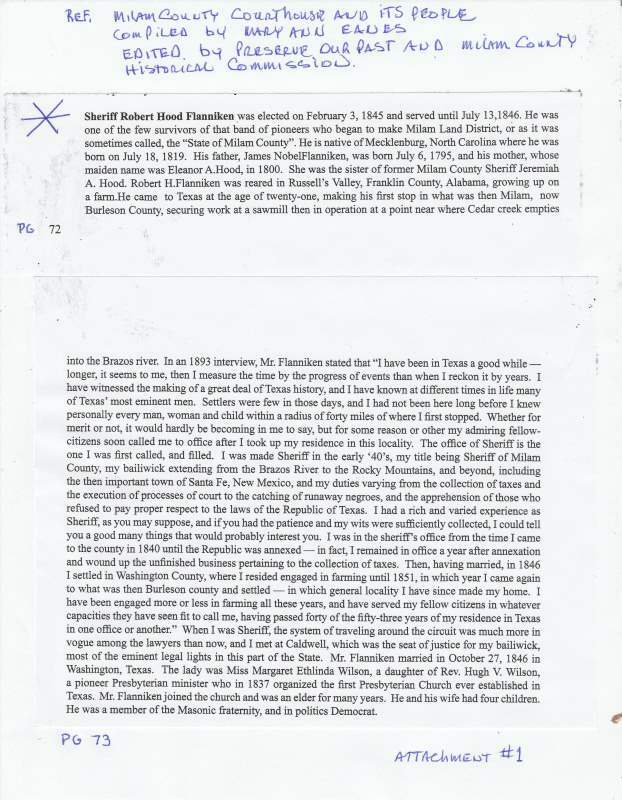 Mr Brooks, Thanks to you the Genealogy of Robert Flanniken and Jerimiah Hood is moving forward. I appreciate your help so very much! I just discovered another article about Robert H. Flanniken completely by accident. I have been catching up on my reading and located this article in Tales of the Museum, Volume #1, page unnumbered. This book is one of a three volume set that is available for sale at the Milam County Historical Museum in Cameron. Contact tel. (254) 697-8963. It was compiled and edited by Charles King of the Milam County Museum. Mr. King has been kind enough to allow us to use his books as reference when answering MCHC inquiries. You'll note that there are numerous additional bits of information in this article that weren't in the previous ones. 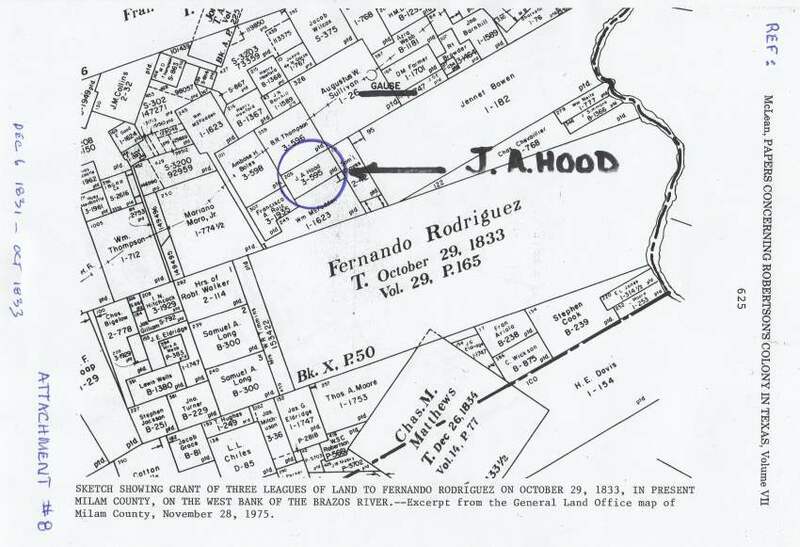 Thanks to you the Genealogy of Robert Flanniken and Jerimiah Hood is moving forward. I appreciate your help so very much! 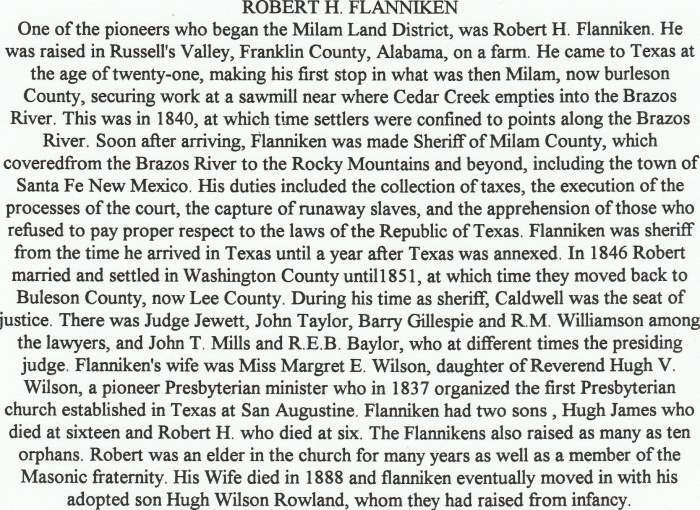 I was just reading History of Milam County, Texas, by Lelia M. Batte and came across Robert Flanniken's name. He was describing the Milam County Courthouse when it was in Caldwell in 1845-1846. 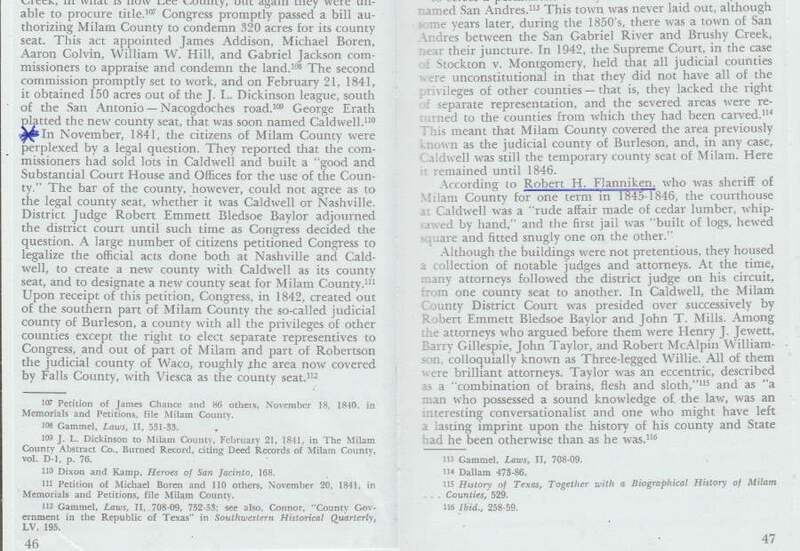 If you're into Milam County History, the above book was just reprinted after being out of print for 63 years. It is available at the Milam County Museum. Cost is $ 60.00 plus $ 5.00 shipping. Museum phone is (254) 697-8963. John Brooks, Thank you for sending this information. You just keep finding such interesting items!! 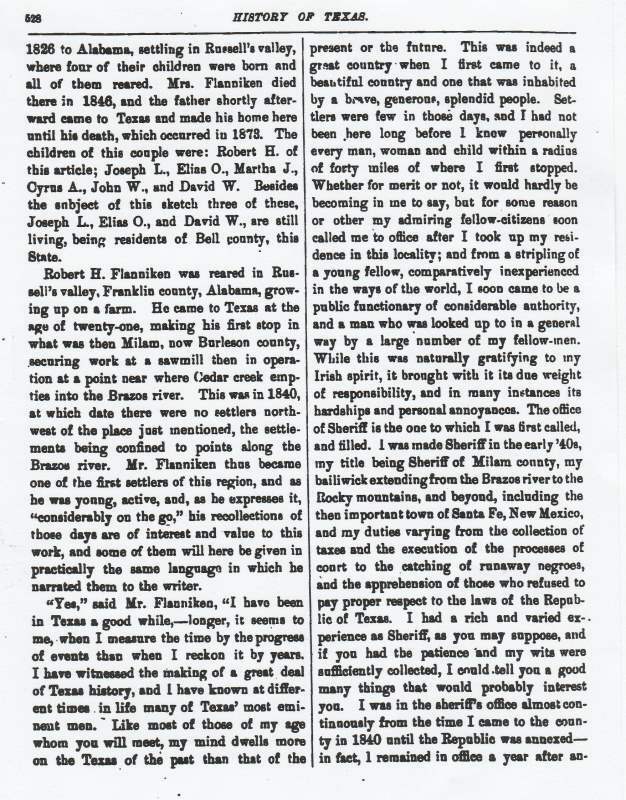 Robert Flanniken was in Texas at such an interesting time, with your help his life is being pieced together. Thank you.